Designed by Wilson Smith and made famous by Scottie Pippen in the late ’90s. Nike continues to expands its Air More Uptempo lineup with new colorways. 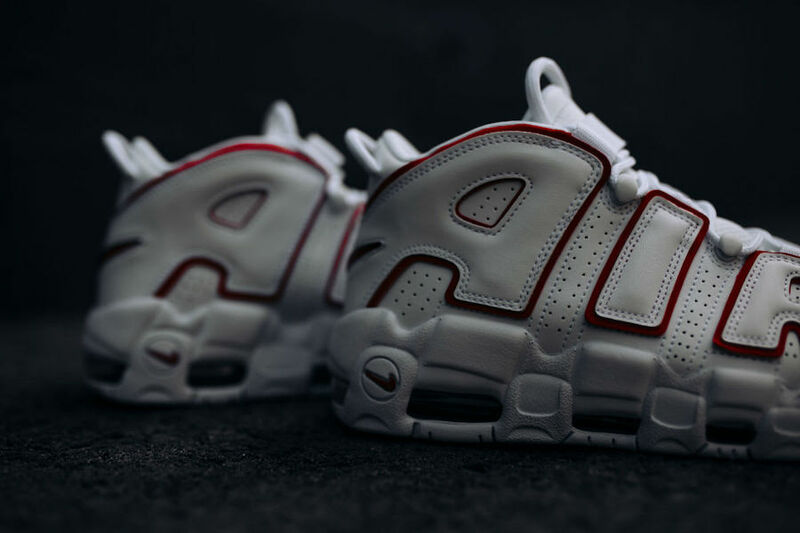 This all-new Nike Uptempo comes dressed in a White and Varsity Red color scheme. Constructed in a White leather upper paired with Red trimming and branding. Additional details includes perforated holes and a midsole made up of Air Sole units. 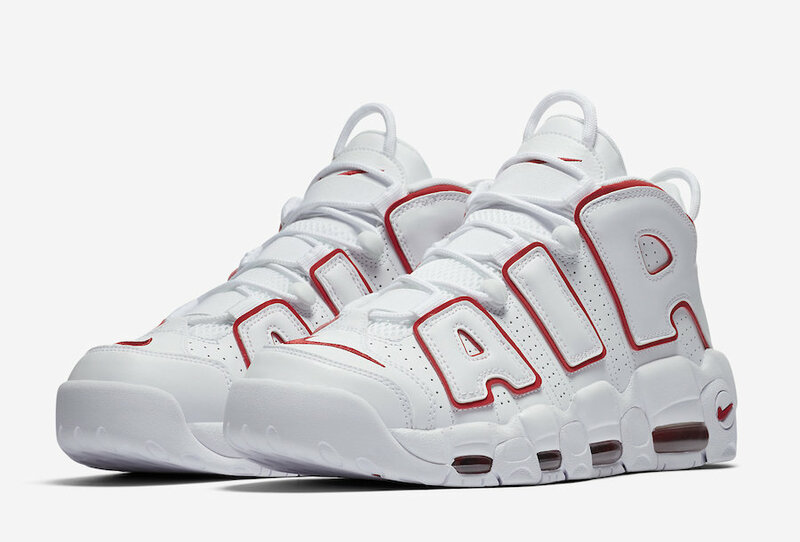 Look for the Nike Air More Uptempo White/Varsity Red to release on May 24th at select Nike Sportswear retailers. The retail price tag is set at $160 USD. UPDATE: Nike releases official photos of the “Varsity Red” Air More Uptempo. 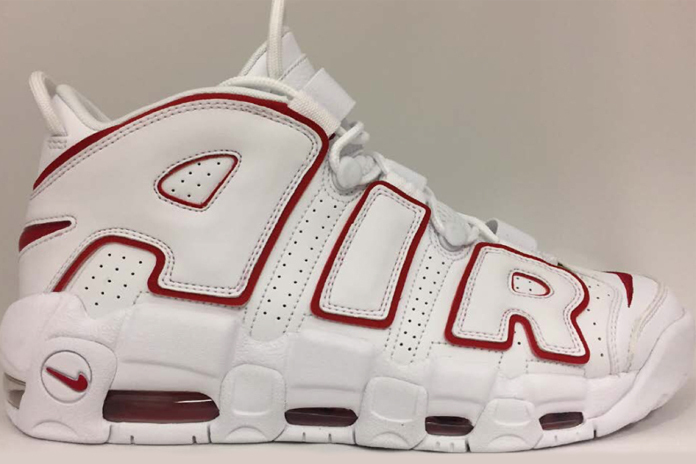 UPDATE: Ahead of its retail release, the “Varsity Red” Air More Uptempo dropped early at select shops like Rock City Kicks.